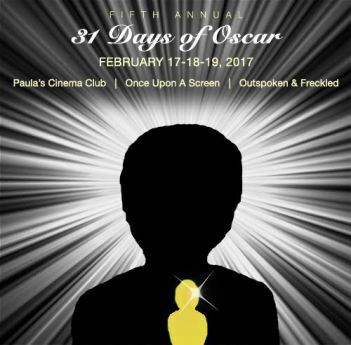 I’ll be participating in a blogathon dedicated to films that were released to movie going fans in the year 1947. My pick is They Won’t Believe Me!, a romance/crime/drama of all things, starring Robert Young (famously known for playing Jim Anderson of Father Knows Best and Dr. Marcus Welby of Marcus Welby, M.D.-nice guy characters all around) playing a guy with lots of women trouble that he brings upon himself. The women trouble are ably supplied by: Rita Thompson, Jane Greer, and Susan Hayward. I care for a preschool aged child a couple mornings a week. 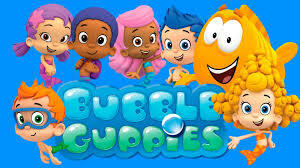 A tv program the preschooler likes to watch is Bubble Guppies. If you don’t know what the tv show is, don’t worry, you’re not missing much. It’s a cartoon where the viewer has to throw logic out the window. It is about a group of half-fish, half- child creatures, more like “mer-children” instead of true guppies, that swim around in their undersea location, and they learn lessons about life: sharing, caring, some educational lessons once in a while, at their school taught by their beloved teacher, Mr. Grouper, who is an actual fish character. He does have a catchy song that he sings to get the class to line-up in order to go outside and I do find myself singing along to that tune once in a while! A week ago the show happened to be on while I was folding laundry, my preschool charge enraptured with the episode. I noticed that the episode was all about Mr. Grouper, the guppies beloved teacher being absent for the day and their being a substitute teacher in their classroom. “What’s a substitute teacher?”, one guppy nervously asked another guppy. After the definition was given, in swam the substitute teacher. He was the blandest colored fish the show has ever shown. He had a frowny face, and his voice was a boring monotone! To every question from one of the cute, colorful guppies, he gave a negative answer:”No, we cannot go outside, it’s too cold.” “No, we cannot get out the puzzles, they’re too difficult.” “No, we cannot paint today, it’s too messy.” On and on this nonsense went and I became a bit teed off at this show aimed at preschoolers! I have been a substitute teacher. When mu husband was laid off for 16 months, I dusted off my teaching certificate and was hired to substitute for the Hazelwood School District. It’s not at all easy being a substitute teacher and I resented a silly preschool cartoon show making fun of substitute teachers. Hazelwood had their subbing system nicely set up online for the planned teacher/staff absences they knew they’d be having for each upcoming week. One could stipulate in the subbing contract if one was willing to sub at only the elementary, middle, junior high, or high school level, or if one wanted to sub at all the grade levels. However, I often got a call the night before a job when a teacher had become ill, or even an emergency call to come in half an hour before a school day was to start, or a call at 11 am to come in for an afternoon, for an emergency reason. When subbing, you are mostly unknown by the rest of the staff so lunch time is a bit lonely. Eating in the teachers lounge as sort of the person non grata; the other teachers talking amongst themselves about various topics, but not including you as they don’t know you. The students, most behave themselves, but the typical troublemakers, you know, the Usual Suspects, will be especially sure to misbehave. Then there are the rules one has to follow in the school and make sure the students follow them too, and for an independent minded homemaker like myself, I had to watch myself and not make comments outloud about rules that I found confusing or nonsensical. It’s not an easy job being a substitute teacher, and one bonus is that I didn’t have to take home all of those worksheets and grade them! So, hey, Bubble Guppies, stop airing the episode that denigrates substitute teachers! Stop putting nonsense into preschool tots heads that substitute teachers are downer, negative individuals to be feared. Stick with the lessons on caring and sharing, colors, counting, and the ABCs. I can ignore the illogical premise of your program, but I can’t ignore the recent disparaging of substitute teachers! I challenge any of you that make this tv show to try subbing sometime, go on, I double-dog dare you! !